To add to the fun this year, we have created an exciting new contest – introducing the CSB Shoe Decorating Competition! Take a shoe, any old shoe will do…. reserve new shoes for donations, please…pump up your creativity and bling it out. Glamourous, silly, funky, themed, ugly or over-the-top, whatever you need to do to wedge out the competition! Remember, this is a family-friendly event, so keep a handle on that sandal, as CBS judges will give the boot to inappropriate designs and disqualify any entry deemed vulgar. The winner will be selected by popular vote. To vote, place money, in the amount of your choice, in your favorite shoe. 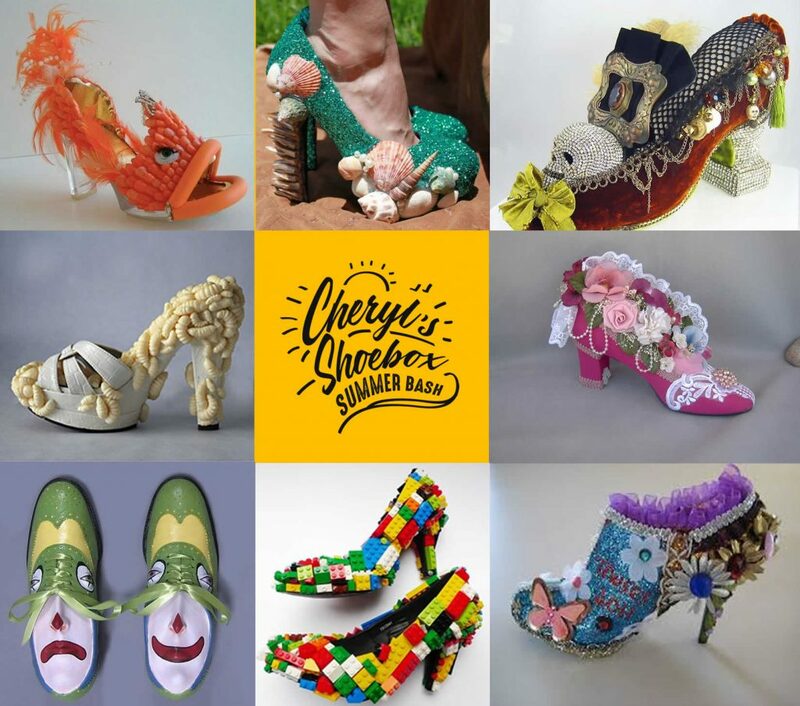 The shoe that receives the most money will be declared the winner and the decorator will claim all the money from their winning design as their prize. The money from the non-winning shoes will be collected by Chery’s Shoe Box to provide shoes and educational supplies for families in need. Voting will close at 7pm and the winner will be announced at the end of the event and must be in attendance to collect the prize. All entries MUST be received no later than 5pm on Saturday, August 4th. Late entries will not qualify to participate.